The suspects in a court cell. Three former staff of Kabalagala popular restaurant Chicken Tonight, who assaulted diva Angella Katatumba and Jamaican artiste Kuzi KZ have been remanded to Luzira prison. Olubrwoth Chuka, the manager, John Kaddu, a waiter and Denis Okirot , a guard, appeared in a video clip beating up Angella and Kuzi and threw them out of the restaurant. This was after the two asked for an apology or change of food. It is alleged that Katatumba and Kuzi stopped at the restaurant for a bite after working for long hours. When the food was served, Kuzi asked for ketchup but the waiter indicated the chilli sauce instead. Upon realising that they had used chilli, they could not eat the food and thus asked for an apology from the manager. The manager reportedly instead ordered them to leave the restaurant, a thing they refused leading to the restaurant staff applying force. Prosecution stated that the trio on 27th March in Kabalagala Makindye Division assaulted Angella and stole Shs6.2m from her bag. 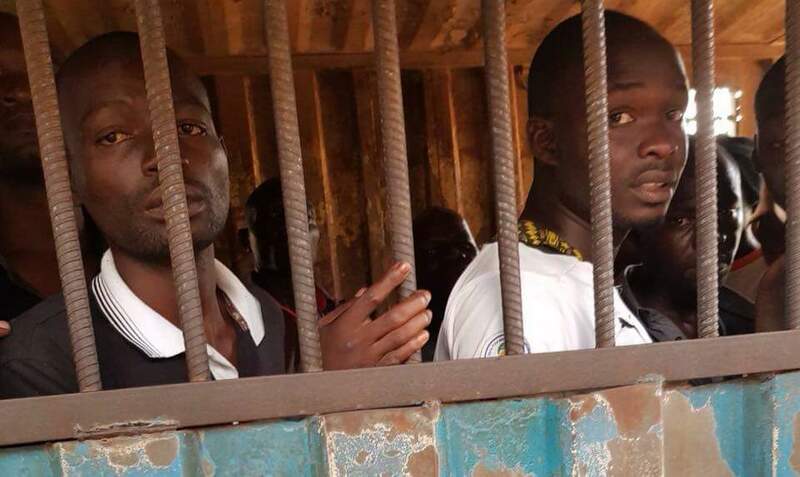 The suspects were remanded to Luzira Prison until May 4 as investigations continue. They were charged with assault, theft and causing grievance harm.